What I like about this blog is all the photos and the things that he does and doesn't like at the parks. 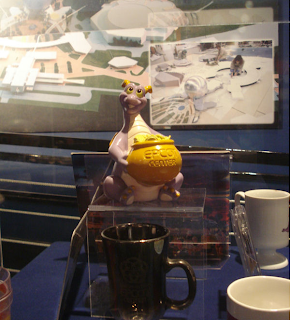 I came upon one photo he took of a shelf in Epcot's Museum of a mug with figment on top. Figment is one of my childhood's favorite characters and the ride used to be awesome until they changed it something more kiddish...and shall I say a bit "smelly." lol. If you have ridden this ride you will know what I mean. lol. I try to purchase something figmenty every time we go to Disney world but the past trips have been a bit disappointing as I couldn't find anything I liked. But anyway, my point in showing you this picture? 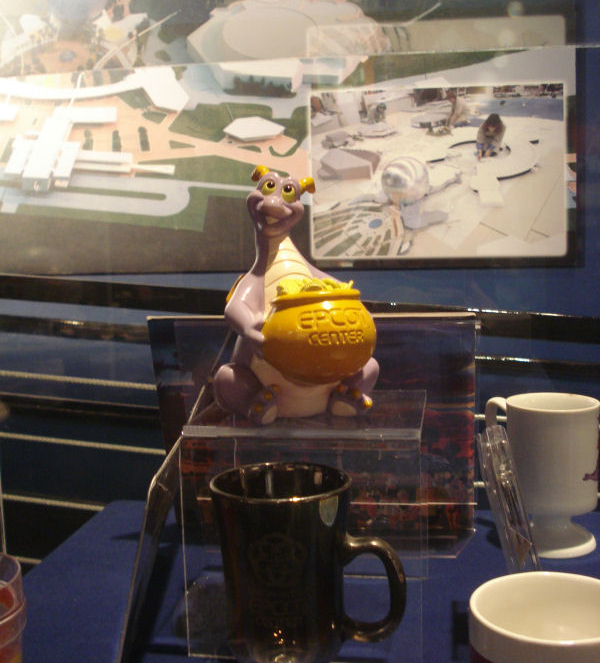 Notice the mug under neath the figment statue? As you might recall I found 2 of these beautiful mugs at my local Good Will Store. I was surprised to see this mug in the closure here at the Epcot Museum...at least that's where I think this picture is taken at. Lol.